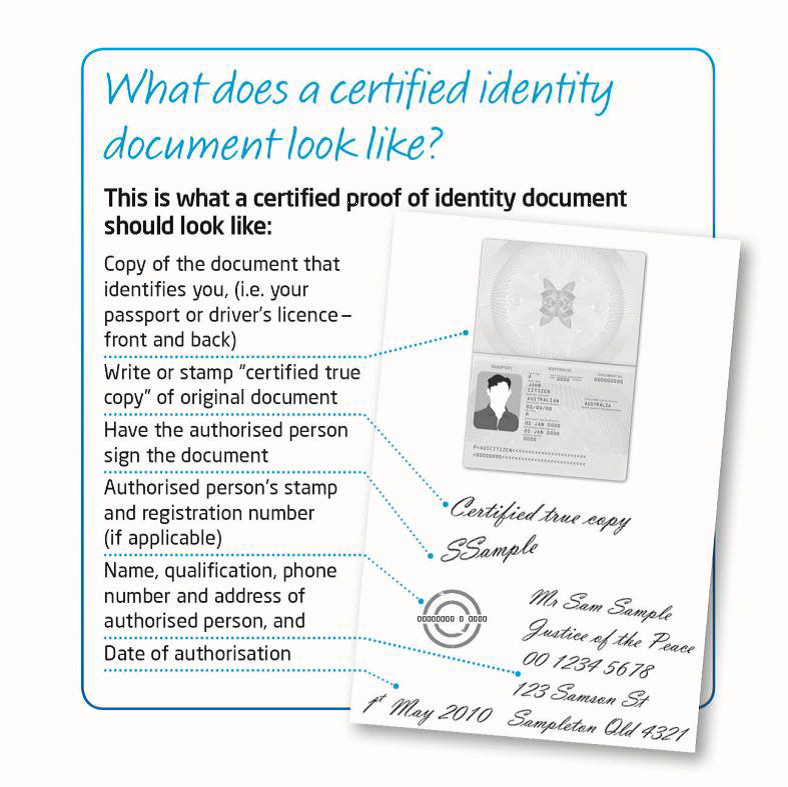 What should a certified document look like? Certifying a document means the document is being confirmed as a true copy of the original: this is signed and dated by a professional person. Please Note: The certification must be present on the actual document that has been scanned to be validated successfully. Please see the image below for a visual representation. Notarised documents are similar to certified ones however they will be signed and dated by a notary public (This may be called something different depending on the country you are in). A notary is a person authorised to perform certain legal formalities, especially to draw up or certify contracts, deeds, and other documents for use in other jurisdictions. Both of your proof of ID and proof of residential address documents must be certified and be accompanied by the relevant official stamp and signature from the certified person. If you live outside both the UK and EU, your proof of ID and proof of residential address documents must be notarised by a Public Notary and accompanied by the relevant official stamp and signature from the notarised person.